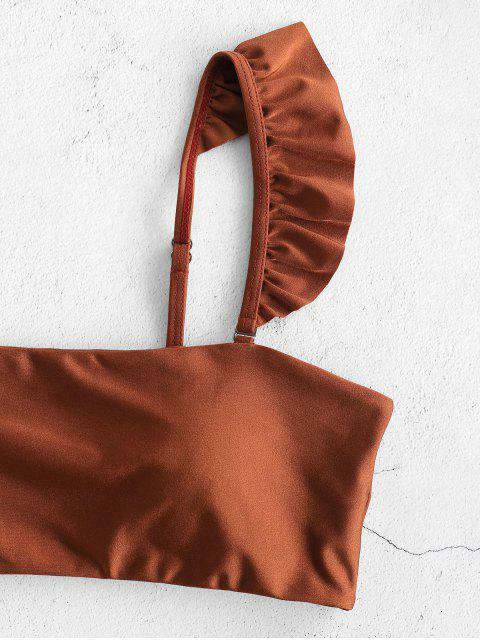 [20% OFF] 2019 ZAFUL Ruffle Cami Bikini Set In CHESTNUT RED | ZAFUL ..
Crafted from a solid fabric, this cute bikini set has a tube style top which has no clasps for a comfortable wearing experience. Ruffles along the adjustable narrow straps offer an extra sweet vibe. Matched briefs have moderate coverage.